Nimble offers a genuine Campagnolo Record rear hub option with its wire spoke style wheels. 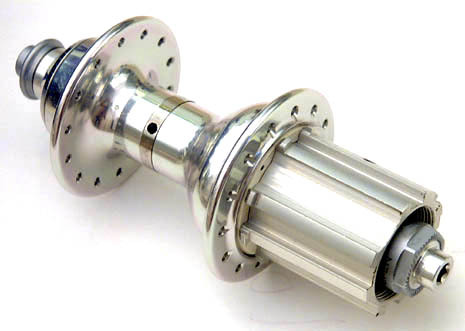 Weighing 255 grams, this hub is the top of Campy's product line. Wheels built with this option carry a price upgrade.